The Prepar3D v4.2 update is available now and can be downloaded from the Downloads page. 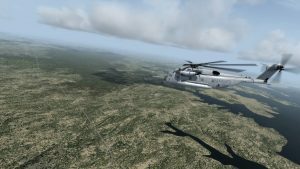 If you currently own a valid Prepar3D v4 license there is no charge to update to Prepar3D v4.2. To purchase Prepar3D v4, please visit our online Store. Prepar3D offers separate updates for the Client, Content, and Scenery. This will make updating faster and easier than ever before. Please be sure to read the Prepar3D v4 Download and Installation Instructions for more details on how to quickly update to the v4.2 release. Please refer to the What’s New below to see what each installer contains. Most users will only want to use the Client installer to update.